The glut has become so bad that next-day prices for gas at the Waha hub in the Permian have plunged to a record low, falling to as low as 25 cents per MMBtu. In some instances, producers have actually sold some gas at negative prices. That means that a company is paying someone else to take the gas off of their hands. On Tuesday, the lowest price recorded was -25 cents/MMBtu (to be clear, that is negative 25 cents), according to Natural Gas Intelligence(NGI). It was the second consecutive day that prices were in negative territory. 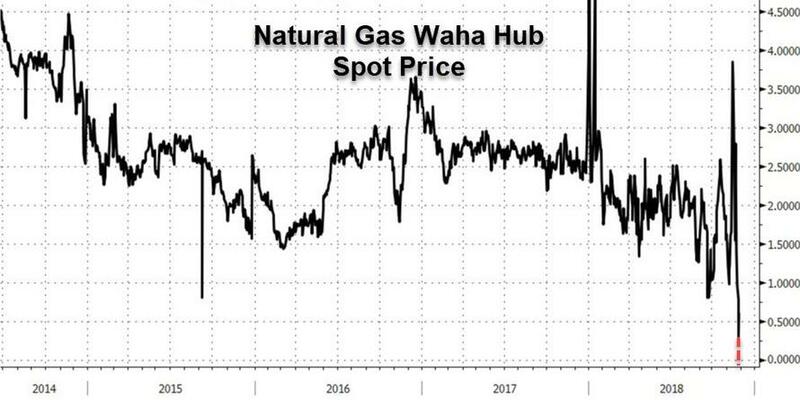 “That’s right, someone was paid to buy gas in the Permian on Monday,” RBN Energy LLC analyst Jason Ferguson said, referring to NGI’s pricing data. “While we’d like to tell you this was some sort of transient, one-off event that led to a day of dramatically low gas prices, that isn’t likely the truth of the matter." Ferguson went on to add that there is little prospect of a recovery until next year. 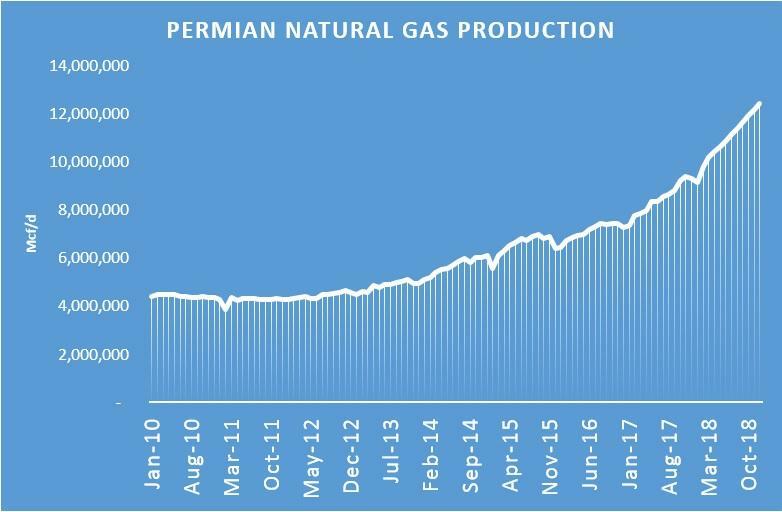 “The Permian gas market is flooded with associated gas and won’t see significant new takeaway capacity until the start-up of Kinder Morgan’s Gulf Coast Express pipeline in late 2019,” Ferguson said, according to NGI.